Gather your sunglasses, snowshoes and mosquito spray – it’s time to travel to new destinations with the 10 Days Series – the Americas! 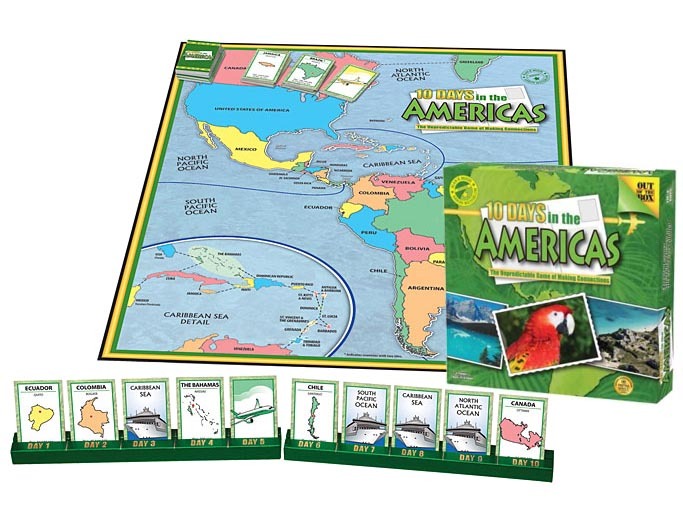 Players use destination and transportation tiles to chart a course through North, Central and South America and the Caribbean — touring by airplane, cruise ship or on foot. With a little luck and clever planning, you just might outmaneuver your fellow travelers and be the first to make connections for a complete ten day journey!